Fresh flavor for the big stage. 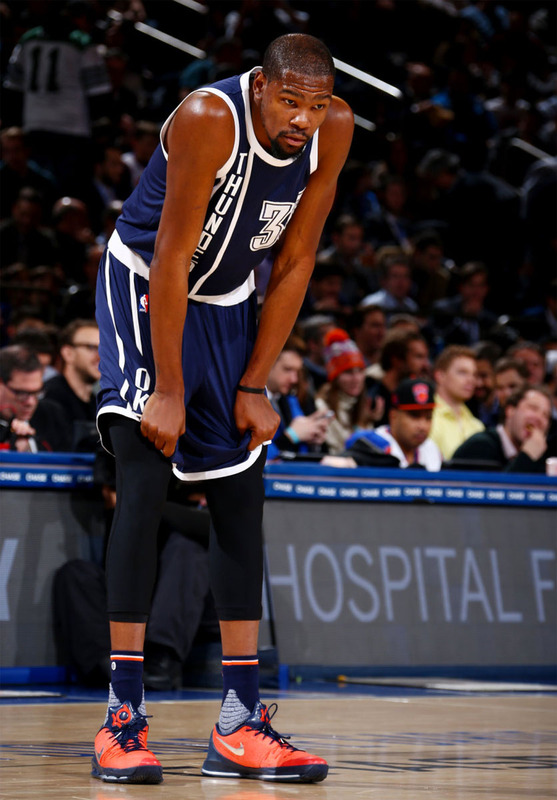 On his way to the All-Star Game for the seventh time in his career, Kevin Durant led the Oklahoma City Thunder to Madison Square Garden for a matchup against the New York Knicks last night. 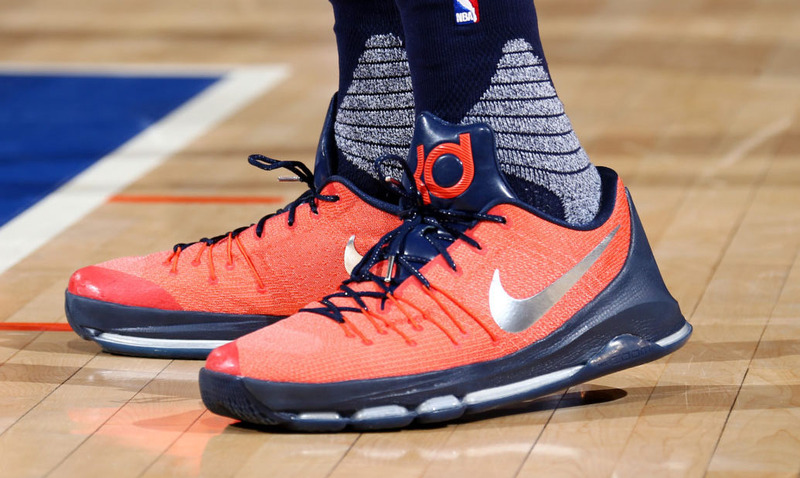 At the Mecca, Durant laced up an all-new colorway of the Nike KD 8, pairing orange and navy together on the upper, along with metallic silver branding hits. Though this style looks primed for retail, a release has not yet been confirmed. 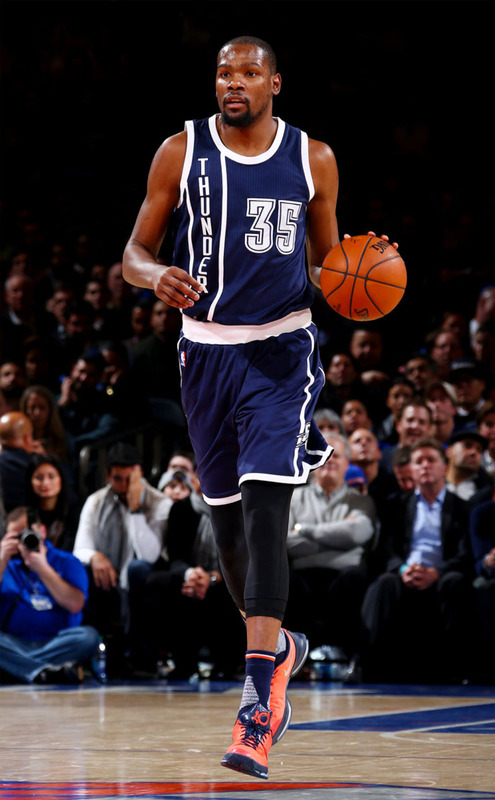 On what turned out to be a huge night for Durant, he scored a season-high 44 points to go with 14 rebounds and 5 assists in the Thunder's 128-122 overtime victory.